Was Passover Bread Used at the Last Supper? Was it Unleavened? Passover bread, consistent with its symbolism, must be unleavened. 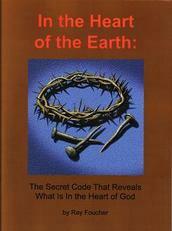 In the book In the Heart of the Earth: The Secret Code That Reveals What Is In the Heart of God a scenario is presented for the order of events of Jesus' last days before His death and the days just after. It includes a Passover observance by Jesus and His disciples in the early hours of Nisan 15 on what we would call Thursday evening before His crucifixion and death on Friday. Some people have said this could not have been a Passover meal on the basis of the Greek word that is used for the Passover bread the gospels say was used at the meal. It is claimed that the word used - "artos" - indicates leavened bread and that the meal therefore was not a Passover observance. If it was true that leavened bread was used, this would definitely throw off the timing suggested in the book. But was it? Let's take a careful look. Note that this is part one of a four-part study on the question of whether the Last Supper was a true Passover observance. 1) unleavened (bread, cake), without leaven. So the bread used at Passoverwas originally designated to be made with no leaven. The next page (part two of this four-part study) will describe the showbread and its significance as far as the question of whether the Passover bread was leavened or not.